Basic Information Purchased new from Ribcraft in 2010. Standard boat rigged by myself. Rapide 750kg unbraked galvanised roller trailer. Double jockey console with windscreen and stainless steel surround. Tubes have additional wear patches on top and additional interior grab handles. Anchor locker. Bespoke 3-part stainless steel light pole with LED all round white light which also houses Metz VHF antenna. Stainless steel navigation lights on console. Lights operates via Carling switch. Tohatsu illuminated trim gauge and tachometer. Console mounted Garmin Etrex GPS. Icom M411 VHF. 2006 Tohatsu 2-stroke (M60C) tweaked to 70hp (including re-badged engine cowl). 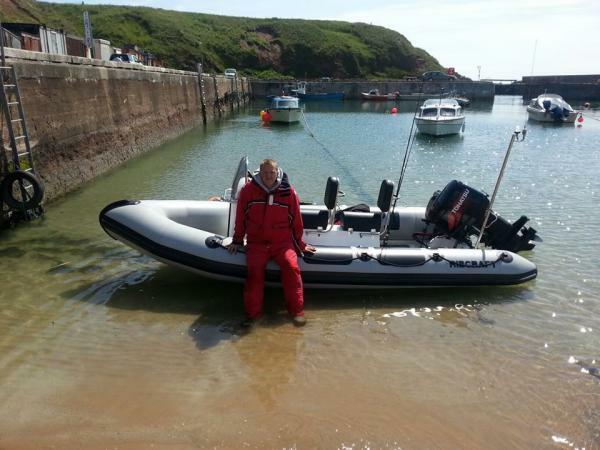 Two 25 litre fuel tanks under jockey seats with inline fuel filter. Electric start, power and trim. Bit agricultural but pulls like an Amtrak locomotive. 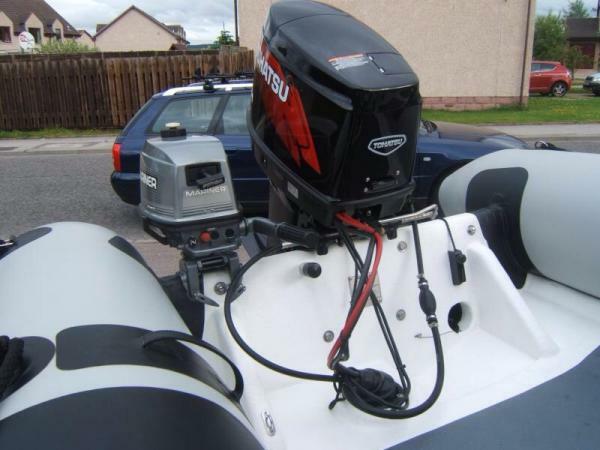 2000 Mariner 4hp 2-stroke auxilliary engine, long shaft, pull-start, integral fuel tank. Carry 5 litres of pre-mix fuel as back-up. West coast of Lewis, Loch Roag. East coast of Scotland including Cruden Bay, Stonehaven, Rosehearty and Gardenstown.